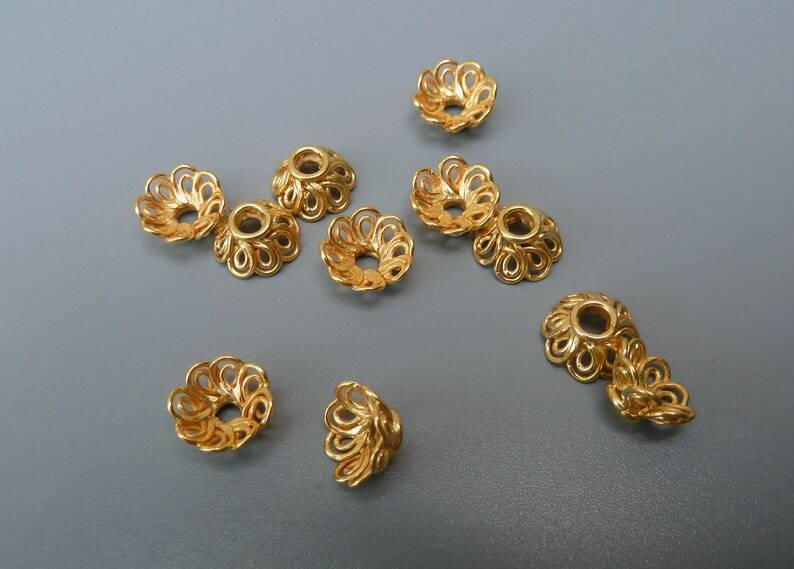 This listing is for a set of bright vermeil wire bead caps. Vermeil is gold plating over sterling silver. These bead caps were handmade by Balinese artisans. They have an wire rope design and measure 8mm across the bottom. Please choose from either 1 pair (2 caps) or 2 pairs (4 caps) by selecting the appropriate option from the drop down. I try to describe my products as accurately as possible. Because these Bali beads and findings are individually handcrafted, there may be slight variations in size, weight and oxidation. Shipping is listed as USPS First Class without insurance. If you are interested in Priority Mail or would like insurance, let me know before checking out and I will change the shipping charges for you.